Since 2006, when the first clinical trial began testing the effectiveness of PD-1 inhibitors, the use of these immunotherapy drugs has increased dramatically. Over the last two to three years, these drugs have moved from research trials into mainstream cancer treatment, particularly for late stage melanoma, lung cancers, kidney cancers, and head and neck cancers. PD-1 inhibitors, delivered through one or two quick infusion treatments, uncloak cancer cells and allow the body’s T-cells to fight cancer the way they fight other diseases. But though these drugs are promising and lifesaving in some cases, they are not the magic bullet for many cancers. Thanks to extensive media coverage, many patients have sky-high expectations for all types of immunotherapy treatments and are now asking about their treatment options. Unfortunately, the truth is PD-1 inhibitors are not 100 percent effective in all patients or in all cancer types. With hundreds of clinical trials underway across the country, our goal is to determine exactly when PD-1 inhibitors are most effective. With hundreds of clinical trials underway across the country, our goal is to determine exactly when PD-1 inhibitors are most effective. In trials, these drugs are being used on almost all cancer types and at many different stages of cancer growth. So far, research suggests that they may be effective at treating any cancer type if those cancer cells have a high mutational burden. However, researchers and physicians still have a lot of work ahead of them in identifying exactly which biomarkers indicate effectiveness. Other research is examining what role PD-1 inhibitors can play in combination with current treatments. Chemotherapy and immunotherapy together seem to have a synergistic benefit for some patients, improving the effectiveness of both treatments. These combination treatments may be the next wave of cancer care. Still other trials are examining when these drugs should be delivered, searching for any benefits to pre- or post-operative use. 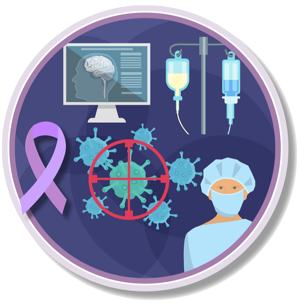 Currently, PD-1 inhibitors are typically used after chemotherapy treatment and mostly only in patients with late-stage disease. In the future, it’s likely that these drugs will be used much earlier in the disease process and perhaps even earlier in the care plan. Though we don’t know yet exactly how they’ll be used, PD-1 inhibitors are only going to become more common in cancer treatment. Almost quarterly, our practice receives new research and new indications for the use of PD-1 inhibitors. As more and more patients receive this treatment, it’s vital that oncologists and other providers work together to spot any unhealthy side effects of immunotherapy, such as autoimmune colitis, skin rashes, or issues with the thyroid, kidney, or adrenal glands. When caught early, these side effects are often reversible. If you have a patient who has received immunotherapy and exhibits these side effects, please contact their oncologist. 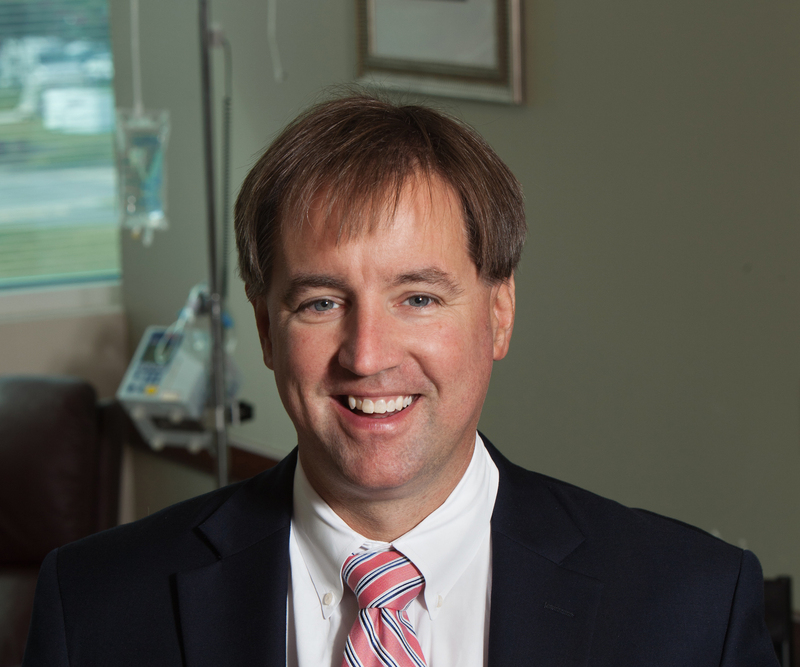 John C. Paschold, MD is a Board certified and Fellowship trained medical oncologist and hematologist with Virginia Oncology Associates, based out of their Williamsburg office. Please visit virginiacancer.com.